The urban wood movement will take to the main stage of the North American woodworking industry’s most important event – the International Woodworking Fair in Atlanta. The free 90-minute seminar, “The Urban Wood Revolution Is NOW! Come Join the Movement,” set for Friday, August 24 is garnering strong support from a diverse segment of companies exhibiting at the show. Wood-Mizer, lead sponsor of the seminar, has been joined by three other sponsors: Richelieu Hardware, Dynabrade and Safety Speed Manufacturing. Each of these companies sees utilizing felled and fallen urban trees to their highest possible value in tune with their own sustainability missions. It is extremely gratifying to see more wood industry companies support the efforts of the Urban Wood Network, organizer of the event, as well as peer groups in the Southeast and West Coast which will be represented in the seminar. IWF represents a great opportunity to educate more professional woodworking companies about the potential of this vastly under-utilized yet very valuable resource. Read more about the IWF Urban Wood Seminar Sponsors and the products that they will display in this month’s Illinois Urban Wood Update. Speaking of IWF Urban Wood Seminar presenters, check out the video featuring Jennifer Alger. Jennifer, CEO of Far West Forest Products in Sheridan, CA, is the force behind the new Urban Salvaged & Reclaimed Woods Network. She will be joined by Dwayne Sperber of Wudeward Urban Forest Products, who will represent the Urban Wood Network on the panel. Yours truly will moderate the presentation. Also, speaking of IWF Urban Wood Seminar sponsors, read about Wood-Mizer’s recent acquisition of the Swedish company MOReTENs. As a result of the purchase, Wood-Mizer, already renowned for its portable and stationary sawmills, now offers more value-added capability with machines including planers/moulders, table saws and even CNC routers. Finally, if you are interested in connecting with urban wood proactivists around the globe, then become a member of the Urban Wood Network LinkedIn group that now numbers more than 1,750 strong. As always, send me your urban wood stories, photos and experiences. I hope you enjoy this edition. Seminar focused on repurposing felled community trees receives solid sponsorship push from Wood-Mizer, Richelieu, Dynabrade and Safety Speed Manufacturing. A n intriguing mix of companies exhibiting at the International Woodworking Fair (IWF) have signed on as sponsors of “The Urban Wood Movement Is NOW! Come Join the Movement.” The free 90-minute seminar is scheduled for 1:00 p.m. Friday, August 24 at the Georgia World Congress Center in Atlanta. The diverse cast of urban wood seminar sponsors includes Wood-Mizer, Richelieu, Dynabrade and Safety Speed Manufacturing. Featured presenters will include Dwayne Sperber, owner of Wudeward Urban Forest Products of Milwaukee, WI; Jennifer Alger, CEO of Far West Forest Products of Sheridan, CA; and Joe Lehnen, a representative of the Virginia Urban Wood Group. Each of the presentations will highlight opportunities to repurpose urban wood otherwise destined for the chipper or landfill to make high-quality lumber, slabs, furniture, flooring and other wood products. Wood-Mizer of Indianapolis, IN, (booth 6575) is the lead sponsor of the IWF urban wood seminar. 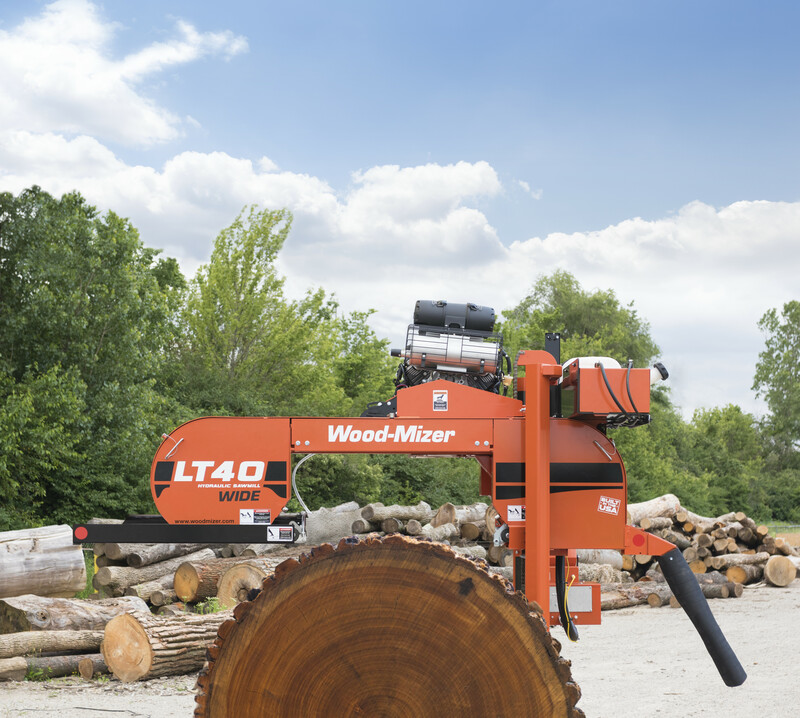 As a world-wide leader in the manufacture of narrowband portable and industrial sawmills, Wood-Mizer has long been a strong advocate of repurposing trees felled in the urban wood as lumber and wood products. The company’s diverse product offering also includes wideband sawmilling equipment, resaws, kilns, moulders/planers, pallet recycling equipment, and bandsaw blades. Among the products Wood-Mizer will exhibit at IWF is the LT40 Hydraulic Wide portable sawmill. This industry workhorse for producing quality lumber fast and easily features a 34-inch width of cut and 21-foot log length capacity. Wood-Mizer will also show the MP260 and MP360 four-sided planers/moulders. 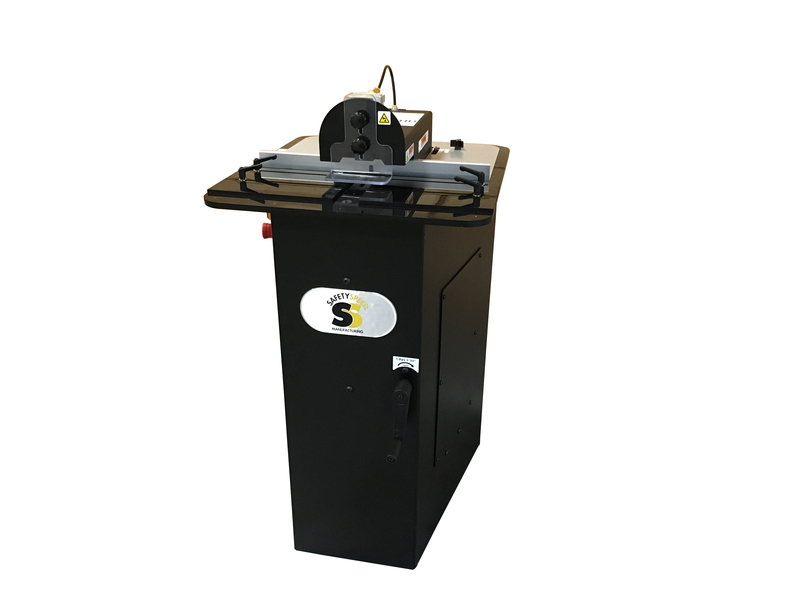 These single-pass machines can be used to manufacture flooring, planed boards, crown moulding, cabinet trim, door and window frames and furniture components. Richelieu of Saint Laurent, QC, (booth 1604) is one of the largest distributors and manufacturers of specialty hardware and complementary products in North America. Richelieu operates more than 50 distribution centers to service over 80,000 customers engaged in the manufacture of kitchen and bath cabinets, closets and storage spaces, and home and office furnishings. Richelieu will continue the year-long celebration of its 50th anniversary at IWF 2018. The company will display its latest innovations in hardware, fasteners, lighting, storage solutions and more. Dynabrade of Clarence, NY, (booth 8121) has been designing and manufacturing high-quality portable abrasive power tools in the United States for more than 50 years. Dynabrade also offers dust collection solutions and accessories for its abrasive power tools. “Dynabrade is a company that is going through a “Going Green” program,” said Andy Mandell, marketing manager. “We’re eliminating waste and creating a new recycling program. It’s fantastic to see old wood serving new purposes. and Dynabrade is proud to be a part of it. 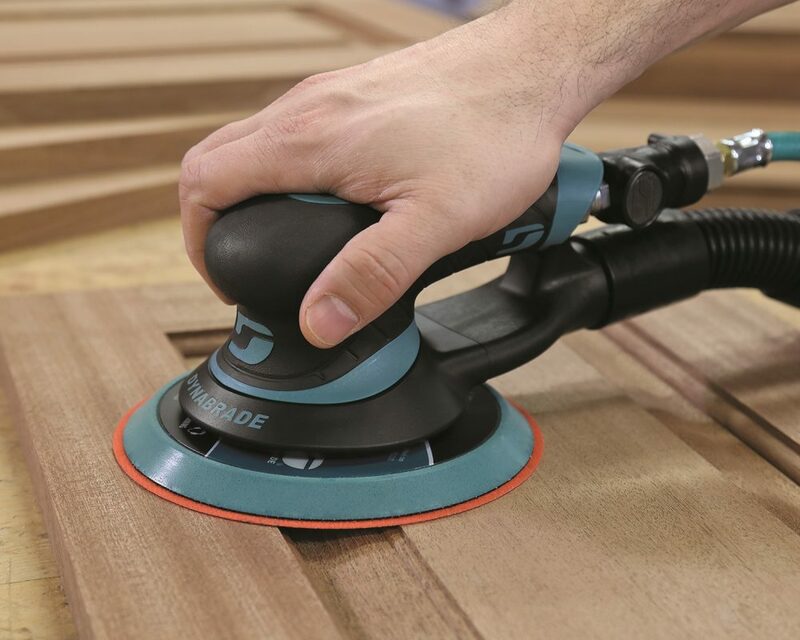 Dynabrade will introduce the Dynorbital Extreme Random Orbital Sander line at IWF. It features an ergonomic design with a tactile soft grip over-mold for a comfortable feel. The 12,000 rpm more has an improved rotor design for enhanced power. At IWF 2018, Safety Speed will demonstrate a manufacturing work cell to more efficiently process panels. The integrated solution includes the 7400 vertical panel saw, Conquest 23-spindle line boring machine, 72GP glue pot edgebander and SPM 301 screw pocket machine, which will make its debut at IWF. Note: While admission to this program is free, advanced registration is required to guarantee a seat. Register at IWFAtlanta.com. For information about the IWF Urban Wood seminar, contact Rich Christianson at 773-822-6750; richc.illinoisurbanwood@gmail.com. The Urban Wood Network (UWN) operates from funding provided by the USDA Forest Service Northeastern, State and Private Forestry Landscape Scale Restoration Grant Program. UWN has opened up membership to other state urban wood organizations as well as individual companies and entities. The four state partners include: Illinois Wood Utilization Team; Michigan Urban Wood Network; Missouri Department of Conservation; and Wisconsin Urban Wood.